Summer Slow Cooker Vegetarian Lasagna with Eggplant and Zucchini has all the flavors of summer and making this in the slow cooker will keep your kitchen cool! 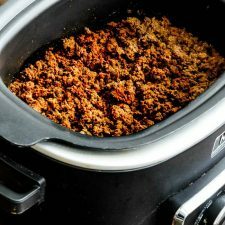 Click Here to see The BEST Slow Cooker Recipes with Pasta! I always like to hang on to summer as long as I can, so I’ve been avoiding thoughts of fall, but that changed quickly when I saw this perfect summer-to-fall Summer Slow Cooker Vegetarian Lasagna with Eggplant and Zucchini from Oh My Veggies. This is summer lasagna because it uses all those amazing garden veggies that are plentiful in these last days of summer, and also because it won’t heat up your house while it cooks, but lasagna is also pure fall comfort food. 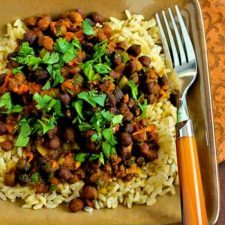 This dish really does have the best of both seasons; head over to Oh My Veggies and get the recipe! Get the complete recipe for Summer Slow Cooker Vegetarian Lasagna with Eggplant and Zucchini from Oh My Veggies. 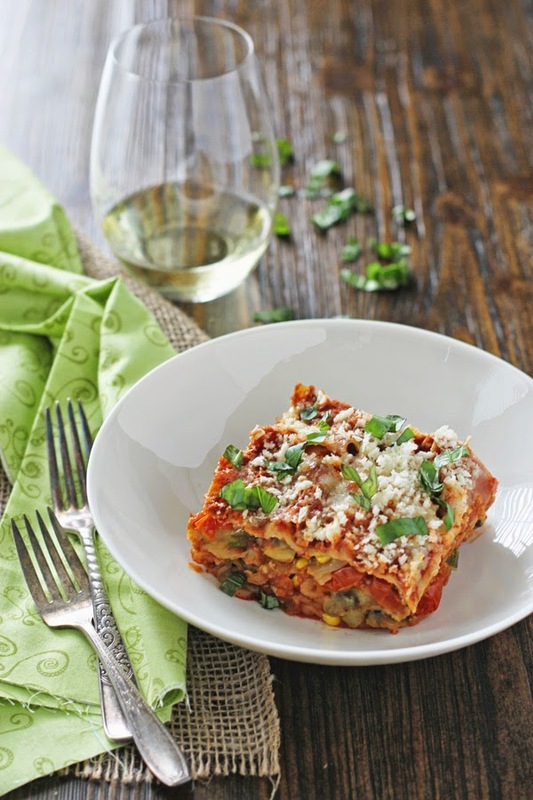 I've been avoiding slow cooker lasagnas but this looks so easy!! I can't wait to try it for our #MeatlessMonday. Christie I haven't made lasagna in the slow cooker either, but this one really caught my eye! And it does look easy. Where's the link to the actual recipe? I am so, so sorry. Just added it!